Just east of the Old Town, in the city's fields, is a small cliff which previously bore the name Galgeberget (Gallow's Rock). After the fortress was completed, the execution site was moved closer to the hangman's house. The hangman was nicknamed "rakkeren". The name Rakkestadsvingen still lives colloquially. 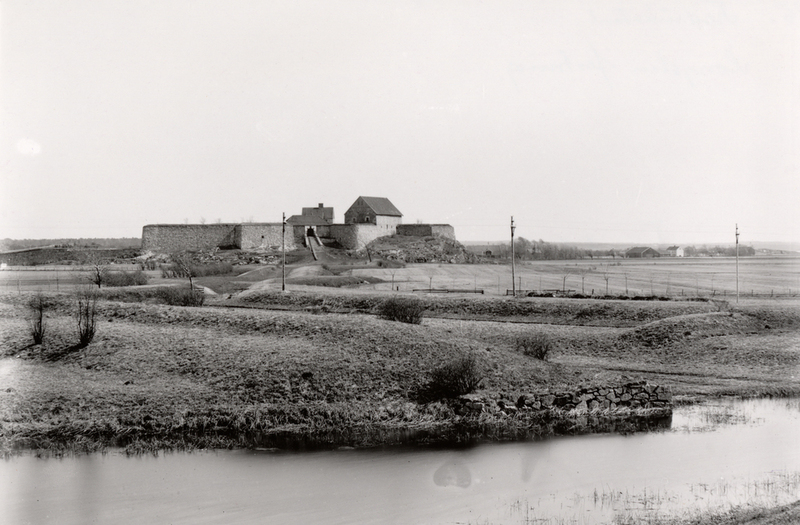 The Kongsten Fortress was completed in 1685. The fortress was inaugurated in regal pomp and circumstance, and it was thus named Christiansten after King Christian V. His monogram can still be seen above the main gate, but the name of the fortress was quickly changed to Kongsten Fortress. Already in 1677, when Norway was waging one of its many wars with Sweden, a small redoubt of earth and timber was built on the cliff. It was named "The Swedish Scare". Work on a permanent stone fortress began in the early 1680's. The architect was the not unknown Jean Caspar de Cicignon from Luxembourg, who came to Fredrikstad in the 1670's. He has another fortress named after him - the Cicignon of which only a few fragments remain, but the name of the city district is still being used. Mr. Cicignon was an active fortress builder in both Bergen and Trondheim, in addition to Fredrikstad. Kongsten in 1900. Photographer: F.H. Werenskiold, source: Riksantikvaren. You can walk the short distance from the Old Town to Kongsten on "The Covered Road", the connecting line between the main fortress and Kongsten. You then ascend the stairs and enter through the main gate. Once inside the plateau the large Provisioning Storage looms to the right. It is also part of the fortress' south wall and consists of three floors where food, ammunition and other equipment were stored. Three cannon were also placed here. If you walk up the hill you will be able to see the Commandant's residence where the commandant lived with his family. To the right is a small, sturdy house in granite. It is built over the fortress' vital water well. Water was needed in large quantities; for the soldiers, horses and of course the cannon that had to be cleaned between each shot to get rid of the powder burns. Kongsten's hidden pride was the casemates - the underground rooms. Originally there were many more than the four that are still available today. The casemates were used for soldiers' quarters, storage and cannon positions. Today, the largest room is restored and is ideal for an exciting excursion or perhaps a meal in exceptional surroundings. The Kongsten Fortress houses a fascinating history and it is a picturesque gem. It also has a spectacular view of the city and the surrounding district.